Spectra Precision has been the leading manufacturer of laser levels since 1965. 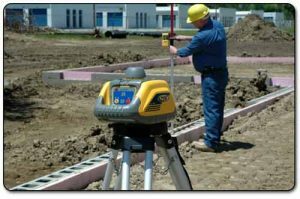 Each Spectra Precision rotating laser level provides a quick and easy way of checking elevations, transferring levels and calculating cut & fill. Turn it on, it levels and spins that’s all there is to it. 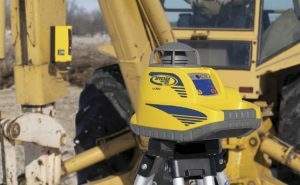 Optional IR remote – allows the laser to be sloped whilst still remaining self-leveled in the cross axis. This is ideal for grade matching when working on driveways or patios. 5 year Warranty – LL300N, LL400 and LL500 all come with 5 year warranty. Shockproof – where you see the shockproof symbol it means the product can be dropped 1m (3 ft) onto concrete or survive a 1.5m (5 ft) pushover on a tripod. Spectra Precision Lasers are designed for a tough life on the site. 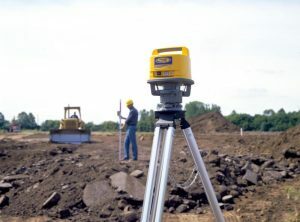 That’s why you will find Spectra Precision laser levels tools on more job sites around the world than any other brand. Rotating lasers level of Spectra Precision are references on the market of lasers for professionals.